Since I haven't had a chance to post to my blog this week, I wanted to share two of the projects that I've made for this week. 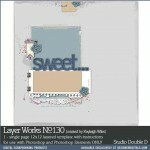 My first project is a card that was up on the Scraptastic Club blog this past Monday. We used a baby quote from Pinterest as our inspiration, and I'm actually in dire need of adding baby cards to my stash. (It seriously seems like everyone around me is having a kid!) So, this was perfect timing for me! 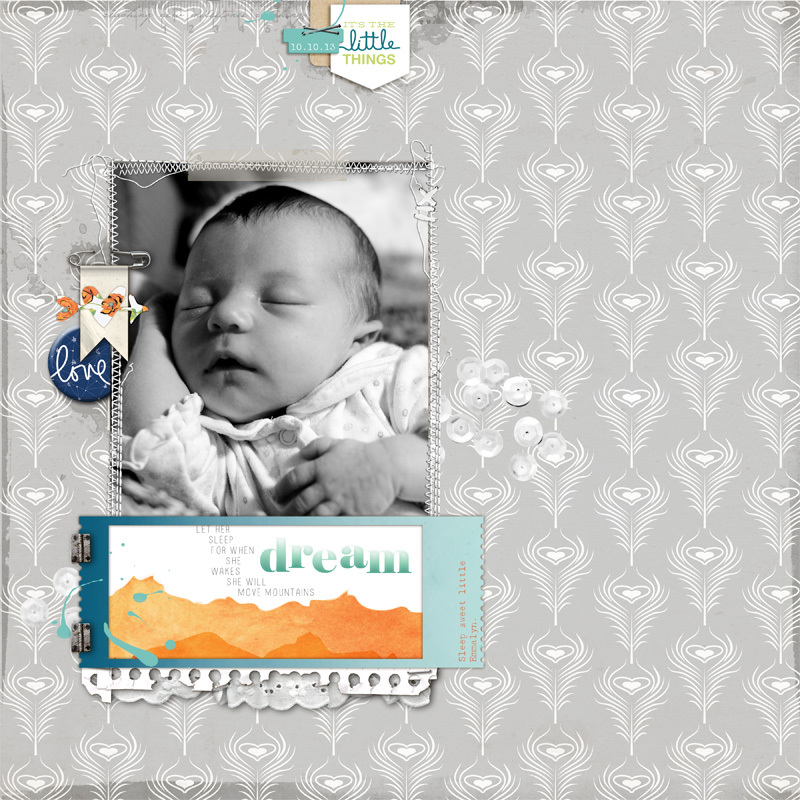 I've combined the Best Day of my Life kit & add-on from Scraptastic this month to create this sweet baby girl card. 2. Cut a blue bow paper block & a striped paper strip. 3. Layer them together, and tuck an orange tab & heart transparency underneath the top of the striped paper. 4. Zig-zag stitch along each seam, then adhere the entire stitched paper block to the front. 5. Stamp the sentiment to the top of the striped paper in black ink. 6. 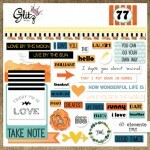 Adhere the vellum banner through the sticker frame, & add the glitter letters spelling "baby". 7. Add the bow topped clothespin to the right side of the frame, then adhere the entire piece to the front. 8. Tuck the diecut "sweet" under the top of the frame accent, and the vellum "girl" arrow under the bottom. 9. Accent with a pink jewel & enamel dots to finish. 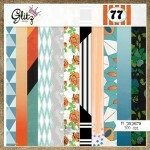 Up next is a digital layout I created for the Glitz Design blog this week (I highly suggest checking out this week's Focus on Digital post....the layouts using 77 are AMAZING!!! Click on that link...I promise you will be inspired!). Apparently I was on a baby kick this week....because this is a photo of my sweet "niece" Emmalyn. She is the daughter of our closest friend's, but they consider me aunt Lea...which I love!! :) This is a photo from the first time I met her...when she was about 10 days old. 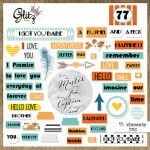 I used the digital "77" collection, and a couple of random digital items from Studio Calico & Two Peas. That is all I have for you today! I hope that you enjoyed both of my baby themed projects....please let me know if you have any questions about them at all. I also love to hear what you think about my projects...so leave me a comment if you have the time! 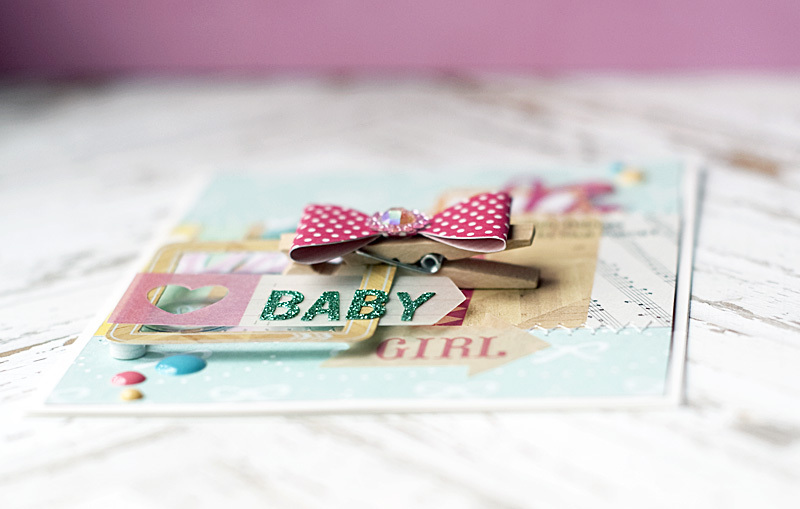 Just the sweetest baby card! I love the sparkly alphas, the little clothespin bow with the gem, the quote and stitching and layers, just a great combination of elements and an adorable layout too! Great projects, Lea. I adore the sweet bow you created. The card is beautiful and the layout so adorable!